Having heard the new smash hit “Green Line” by The Hempolics, I was fascinated with the band and who they were as musicians. I was fortunate enough to be able to get an interview with the man behind the band Grippa Laybourne and ask him a few questions. 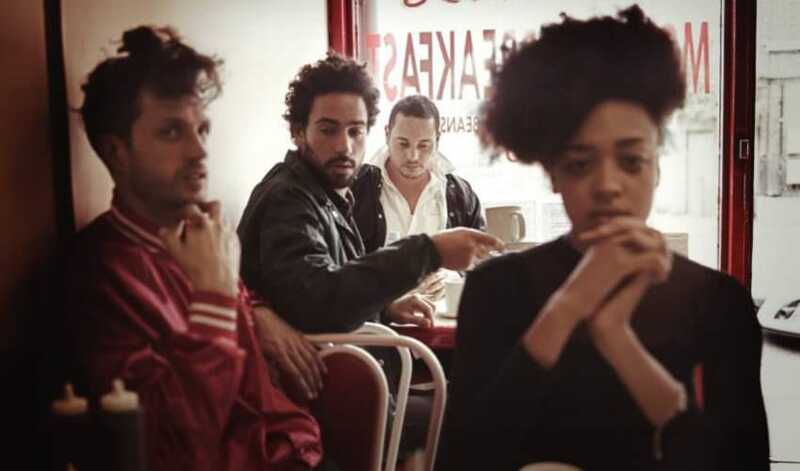 When was The Hempolics founded? The Hempolics has been founded quite a while now. As I am a sound engineer, I recorded and mixed records for many years and with many artists. The Hempolics was a hobby for me for many years as I never had the time to really finish the demos I made over the years.I had a son really young and was constantly mixing in the studio, so yes it was a hobby. When was your first release? I released two 7 ” vinyls myself under Hempolics. A Dido in dub bootleg with a remix of “Dare” by Gorillaz was one record, and then “This is My Island” & “One for the Road”. I did these two 7″ myself around 2009. Our first official release was “Serious” which was on Reggae Roast in 2010. It was the first 7″ vinyl release they did on that label. What have you been doing since then? Between 2010 and 2012 I worked on finishing my album and I ended up finishing two albums by 2012. I have been waiting to meet the right label and manager since this time. We are not signed to BBE records and have a great manager. We’ve also been fine tuning the live set and finding the gang of musicians to join our gang The Hempolics. Plans are that we are going to now start releasing a song every 1-2 months and building up fans with the reggae tunes. It’s all pushing towards the maxi jazz from Faithless song called “In my Brain” and also we have a great single with Paolo Nutini called “Roadside”. We write, record, mix & produce all the music ourselves as well as making the videos for each song so far. What will your next release be? The next song to drop will be “Life Ain’t Easy”. We just sent it off to get vinyl pressed up this week. That takes nearly two bloody months! We’ve still got a few shots of video to finish for that tune, but it is sick! Also Dubmattix from Canada has done a great remix of this next song; which will be on the b-side of next record to drop. Tell me about your new hit “Green Line”? “Green Line” was done with Nubiya and me. It’s a cover of a Garnet Silk tune with Sly & Robbie rhythm he did in the early 90’s before he died. I have loved this track for many years so me and nubiya decided to do our version of it. And we did. We wrote an extra verse for it and just Hempoliced it up. We probably won’t do another cover again but “Green Line” is pure Hempolics style. It’s a pre album track. The next stuff to drop are gonna be hot hot hot! Where does your inspiration for producing music come from? I love weed, I don’t drink but I love THC. So all songs are influenced by ganja I suppose. I write them stoned, I mix them stoned and I produce them stoned. It puts me in a place where I’m able to work on them and find the sound. Lastly, tell me about the rest of The Hempolics crew. We have Craig Boorman on drums, Lorenzo on bass, Leon King on lead guitar and me on keys and ableton. We sometimes have had Paolo on stage with us and maxi jazz has appeared on stage too. 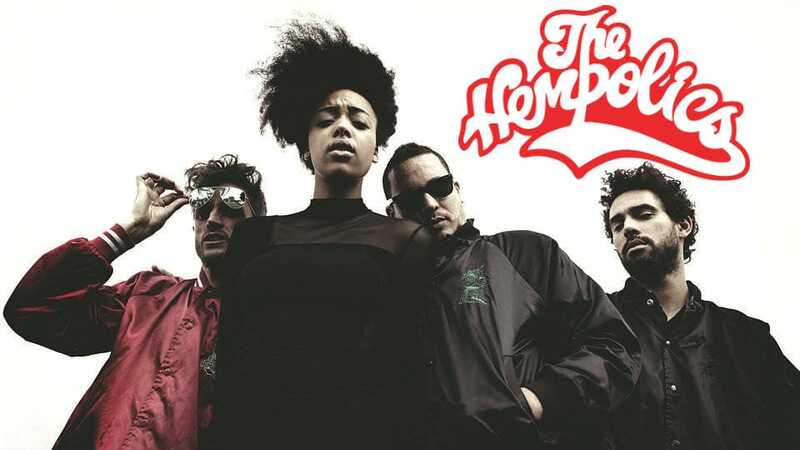 I love The Hempolics band. On behalf on myself and Real Roots, I would like to thank Grippa for his in-depth answers, giving us a new insight to The Hempolics and a massive thanks for allowing me to do the interview. Founder and organiser of Real Roots. Sattamann plays a variety of rootsy reggae sounds from crowd pleasing reggae classics and ska to pure roots and culture sets.